Soon after the Federation began in the 1970s, some Christian treasure from the fourth century was found in Water Newton, Cambridgeshire. It can be seen in the British Museum. 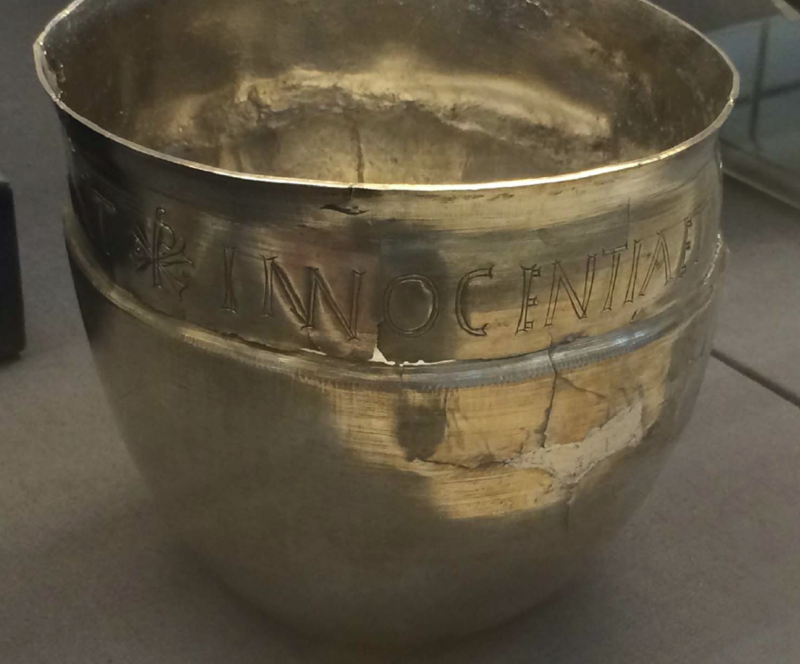 One item is a silver bowl, donated by two women, Innocentia and Viventia, whose names are recorded on the rim. In the logo on this website, the lettering of ‘Cambridge Theological Federation’ echoes the style of their names on the bowl. The strengths of the early Christian treasure as a symbol of the Cambridge Theological Federation include that it is the gift of fourth century women in this part of the world, a gift of faith, a thing of lasting beauty, twice as old as the University of Cambridge and pre-dating the splits in Christianity.